Readers - are you into pieces now that you wouldn't have been caught dead wearing 5 years ago? Wow, this is really cool! You look great :)I think 5 years ago I wouldn't have worn heels as high as I do now, lol. 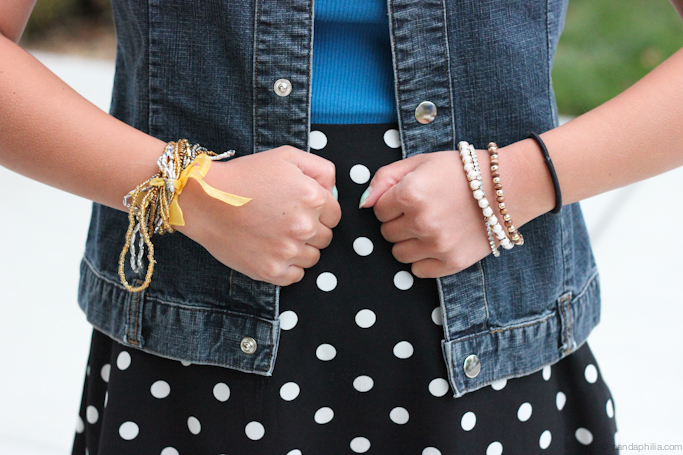 I absolutely love your polka dot skirt and your necklace! I love your blog! This outfit is so cute. 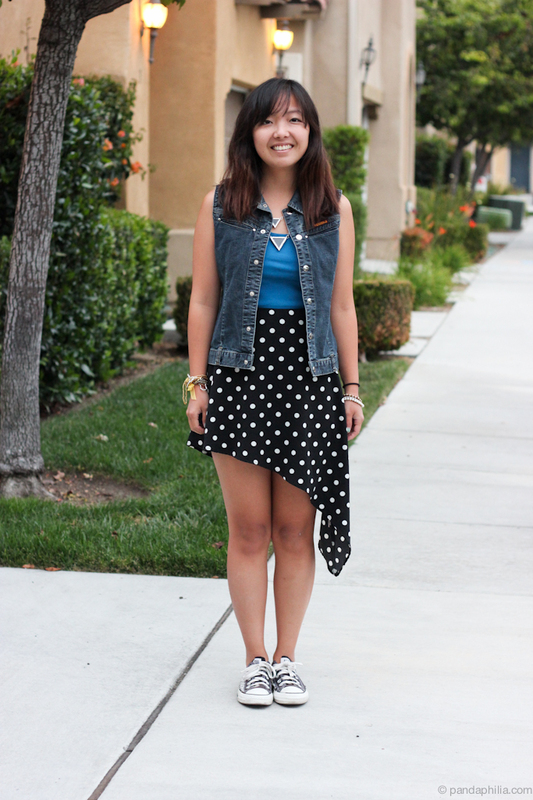 Cute polka dots and asymmetry! Perfect. Yay for dad on photography! I love the geometric everything in your outfit. 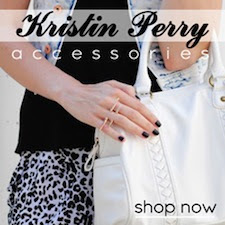 I love the triangle necklace and asymmetrical hem of the skirt. 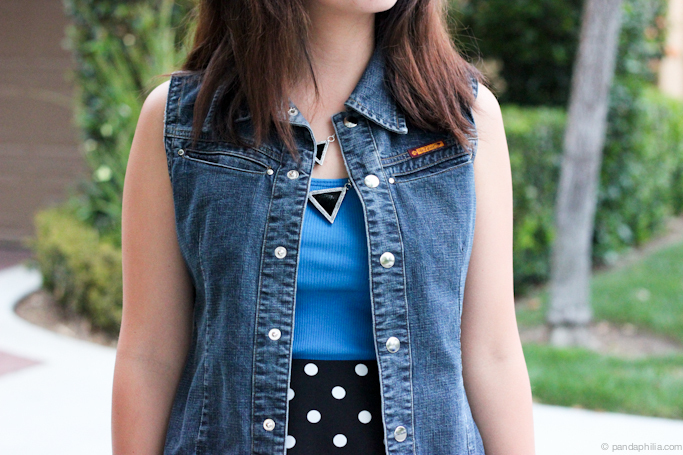 Cool denim vest too. 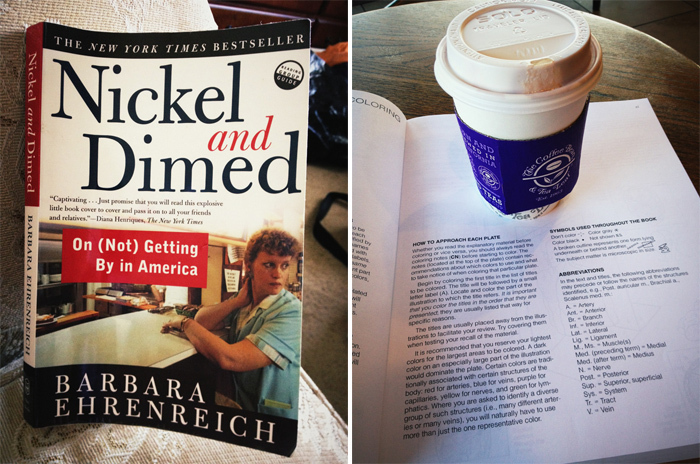 Nickled and Dimed is one of my favorite books! I wouldn’t have worn too many dresses years ago, but growing to like them more. Easy, breezy (literally!). I'm stocking up on dresses for our family beachtrip in Jan.
i love the Hi low skirt!! 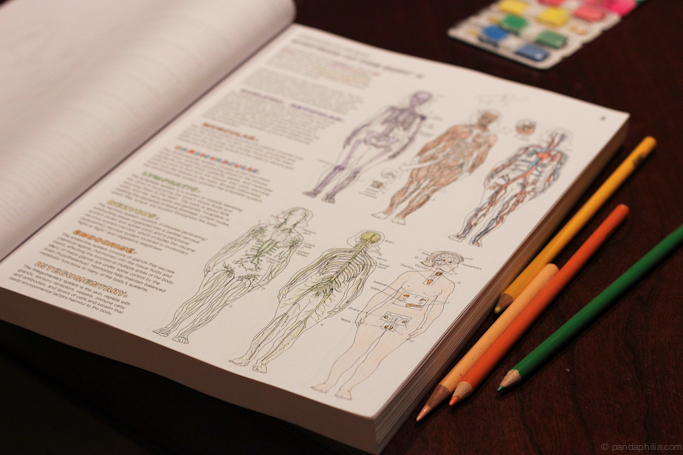 i want an anatomy coloring book! 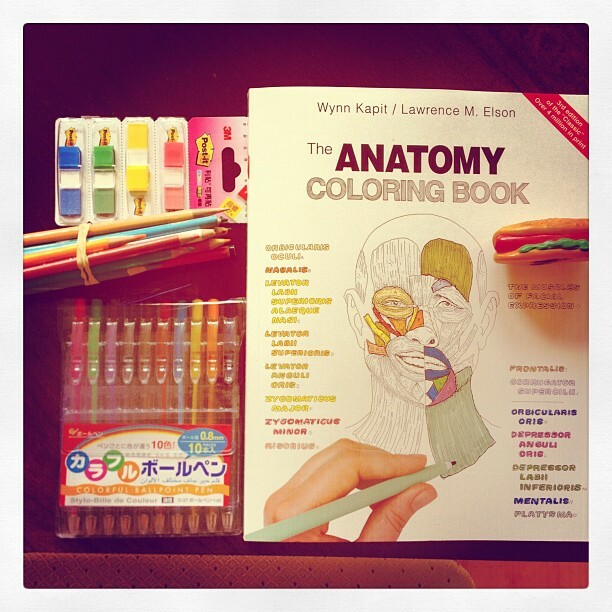 it looks so awesome! !